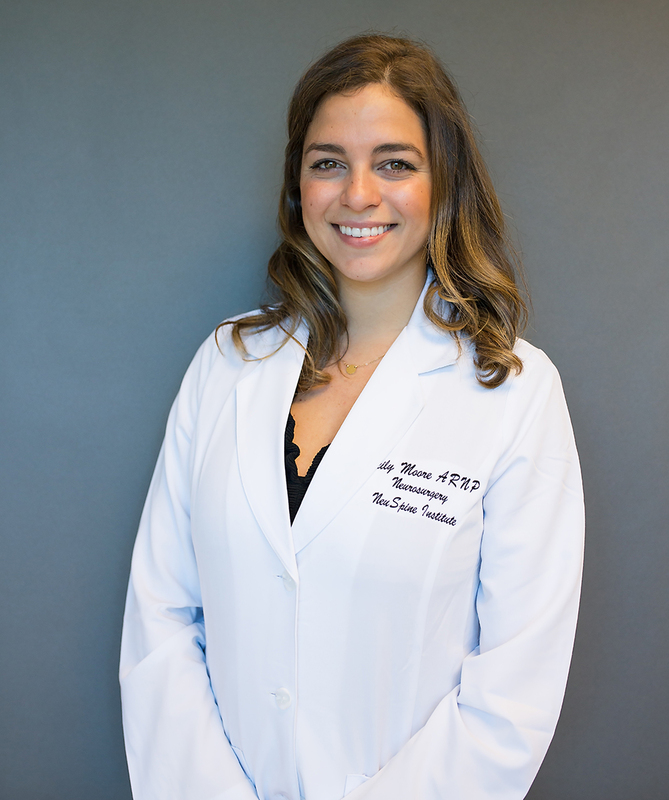 Cecily Moore is a Family Nurse Practitioner, board certified by the American Academy of Nurse Practitioners and licensed by the State of Florida to provide excellent patient centered health care. She attended Florida State University in Tallahassee, Florida for her undergraduate studies and earned her Bachelor of Science in Nursing at Florida Southern College in Lakeland, Florida. After gaining experience as a Registered Nurse at Florida Hospital Tampa for 3 years, she returned to school to pursue her graduate degree. She continued to work as a Registered Nurse while she earned her Master of Science in Nursing from the Family Nurse Practitioner Program at the University of South Florida in Tampa, Florida. She is a member of the Florida Nurses Association and the American Academy of Nurse Practitioners. Cecily has 5 siblings and was born and raised in Tampa, Florida. When she isn’t working, she loves spending time with her husband, family, friends and 2 dogs Sadi and Molly. They love spending time outdoors, camping, and boating. 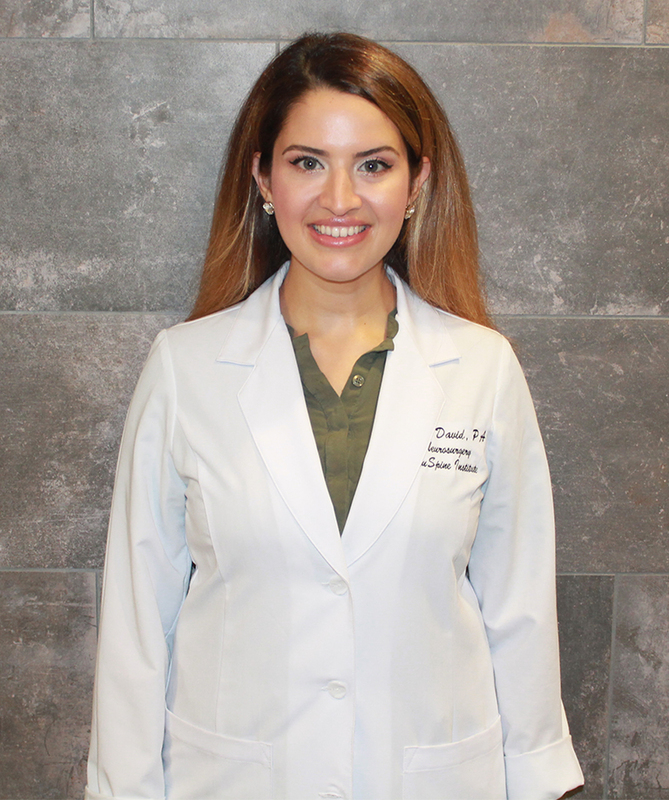 Shadin David is a certified Physician Assistant who graduated from the Physician Assistant Program at the University of Bridgeport in 2015. She was president of her Physician Assistant class as well as her Exercise Science class at the University of South Florida, where she received a Bachelor of Science. Shadin has been working in spine and orthopedic surgery since 2015 and has a strong passion for spine care. Shadin became a Tampa resident in 2003 and joined the NeuSpine team in February 2018. Her hobbies include working out, being near the ocean, traveling and spending time with her family.